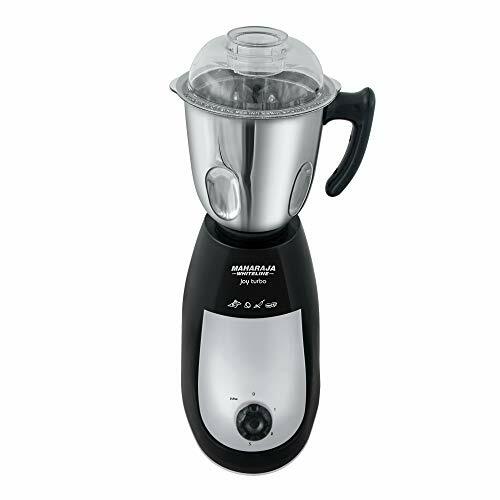 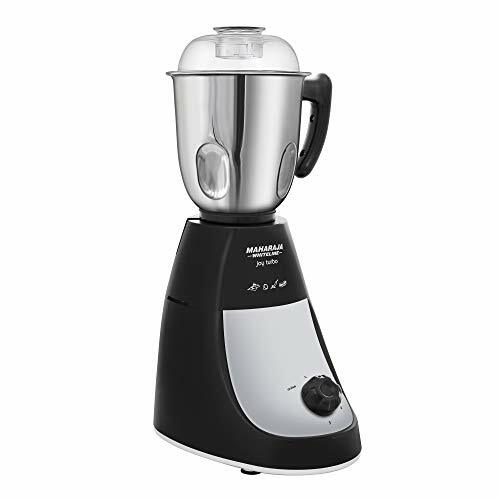 Make chutneys and juices at home with utmost ease using Maharaja Whiteline Joy Turbo (MX155) 750 W Mixer Grinder (Black & Silver). 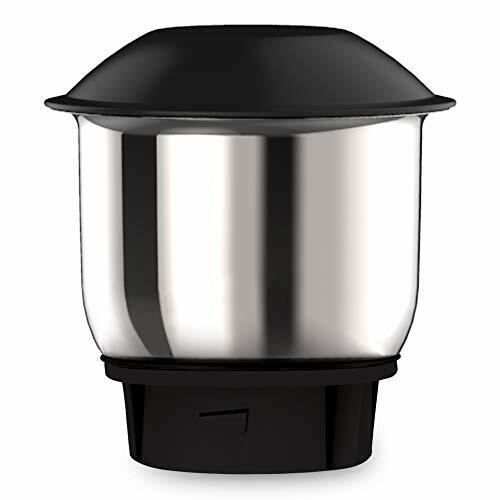 The plastic body boasts of light-weight construction and compact design. 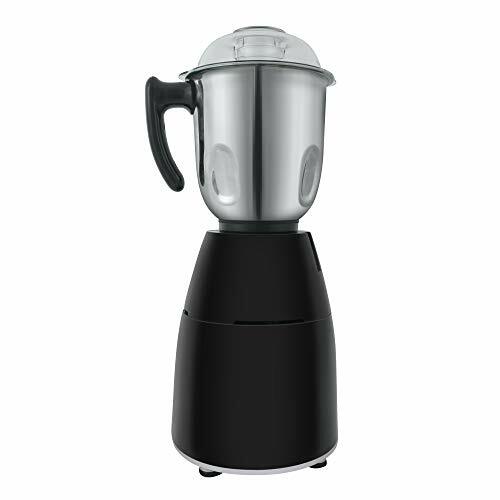 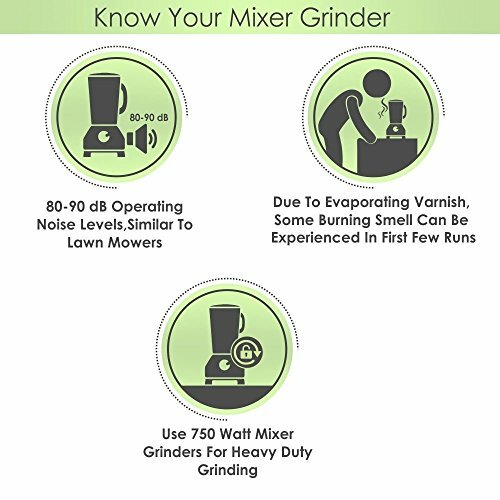 It comes with 3 jars for different types of grinding and juicing. 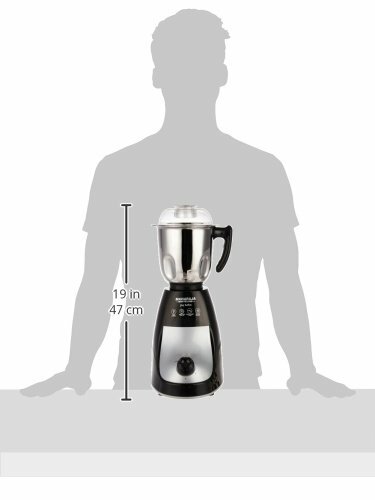 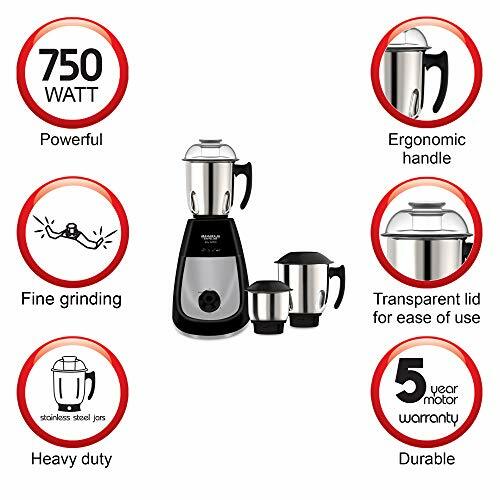 The motor is quite powerful and this mixer grinder is equipped with stainless steel blades for durability and strength. 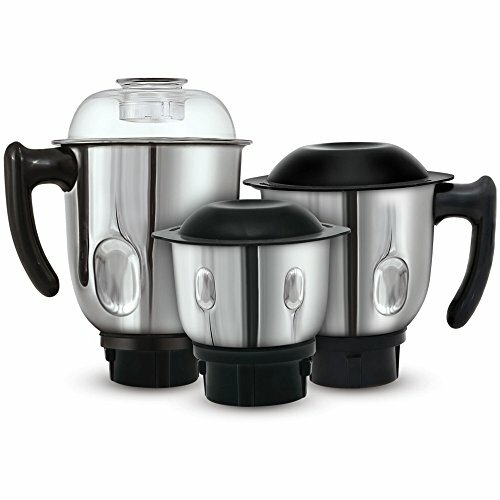 This mixer grinder by Maharaja Whiteline in Turbo size makes an amazing gift for your mother.